Hi everyone! This is one of the longest mnemonic in my sleeve. I made this one up because it comprises a group of bizzare symptoms which we seldom relate to diabetes and take less notice of. These symptoms are indications of poor glycemic control. Hiiiii everyone, it’s mnemonic time again! From the title, I guess you all know what it is about… I had a hard time memorizing these tracts so I created this mnemonic to help you guys out! he drove a honda CRV TO disneyland. That Los Angeles STudent went up to stage and SCream using the PA system because he got a Freaking Cool First Grade result. This is a short summary on what causes an ulcer to have delayed healing. Most cases in the wards and the boards are Traumatic ulcers that have now failed to heal due to some or the other reason. Most commonly the reason is Diabetes , other common ones including Poor general health and Varicose veins. This post summarises the causes. Reason : Venous congestion eventually causes the trapped macrophages etc to release their mediators producing Inflammatory changes + Pigmentary changes occur due to microruptures of congested venules causing Hemosiderin formation and irritation of skin by the Pigment. - Deep Vein Thrombosis (Same as above). - Neuropathy ( Impaired sensations cause repeated trauma at the site of the ulcer delaying its healing ). Why Diabetes causes non healing of any ulcer ? - Neuropathy : due to diabetic Neuropathy , the sensations to the area may be diminished and this will cause repeated trauma to the ulcer. - Infections : High glucose levels serve as a pabulum or conducive manure for growth of various microbes. Infection causes impaired healing of the ulcer. This mnemonic is on Alport syndrome! Well, the 'Port' in alPORT reminds me of 'Pirate ship' (port - a port in the sea - pirate ship). 1. The pirate flag has cross bones which kinda reminds me of X for X - linked disease. 2. ‎Number 4 in the port side for type 4 collagen defect. 3. 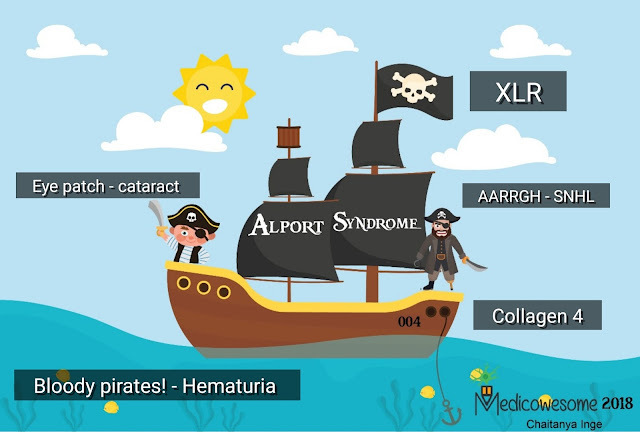 ‎'Bloody' pirates reminds me of haematuria and glomerular basement membrane damage. S for sensory, S for sailor, the deaf sailor kinda reminds me of it. 6. ‎Eye patch - for cataract. This mnemonic was written by our Medical Student Guest Author, Nikhil. 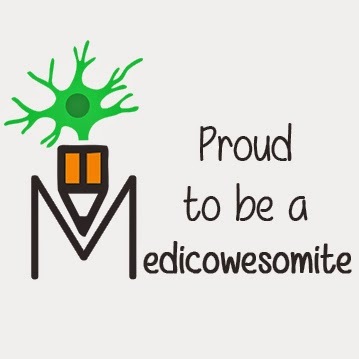 The image was illustrated by our Medicowesome author, Chaitanya Inge. 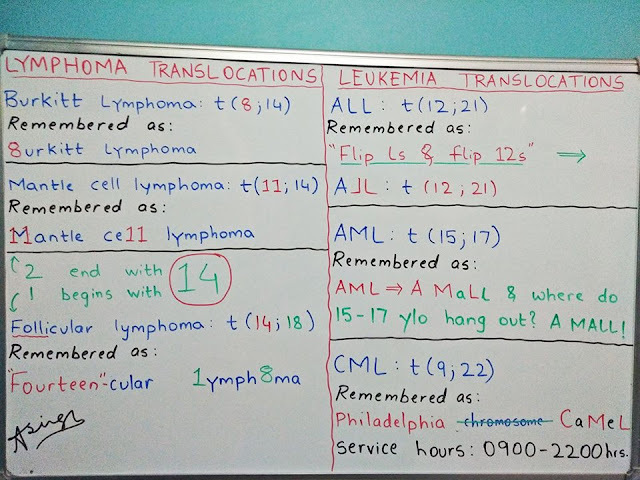 Here's an intuitive way to remember the chromosomal translocations involved in various lymphomas and leukemias. Here is an interesting way of remembering the colors of the IV cannulas that I found in the comments section of Quora. Hope it is helpful! We start from gauge size number 14 upto gauge size number 24. All we have to do is remember the layers of the earth from the core right upto the sun. 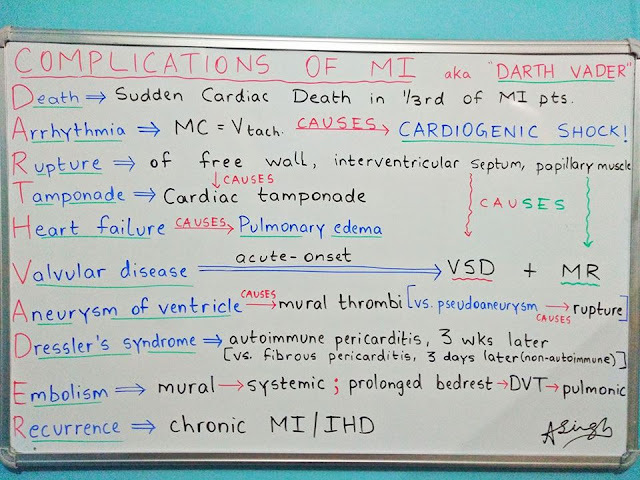 This mnemonic was written by our Medical Student Guest Author, Daksh Mehta! Hi everyone ! This is just a general proforma on how to manage Moderate ascites occuring due to Liver Cirrhosis. - LFT : complete ; look for Liver dysfunction. Important parameters for Alcoholic liver disease : AST / ALT ratio > 2 and GGT levels raised. - Electrolytes : Sodium , Potassium , Calcium. 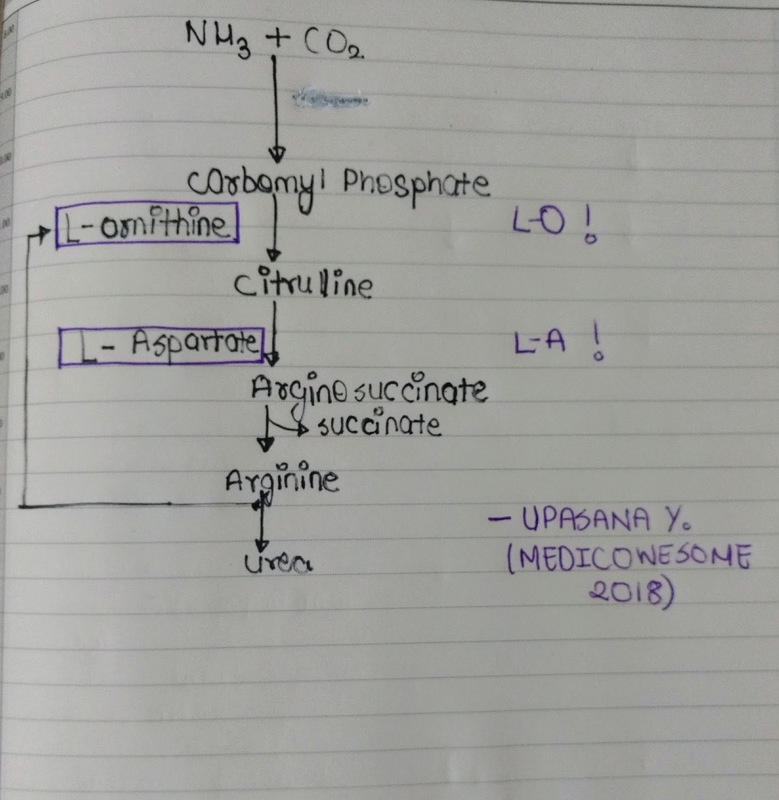 ∆ Biochem : SAAG ( Serum Ascites Albumin Gradient) , Ascitic fluid Proteins , ADA. ∆ Path : Cell count. ( > 250 per micro litte suggests Spontaneous Bacterial Peritonitis). ∆ Micro : Microscopy and Culture. AFP (Alpha feto protein) for HCC screen. - Therapeutic Paracentesis indicated if - Tense Ascites , Child B Cirrhosis , creatinine < 3. If failure to respond to Max dose of diuretics - that is 400 mg Spironolactone and 160 mg Frusemide , it is termed as Refractory Ascites and needs further evaluation and Paracentesis. 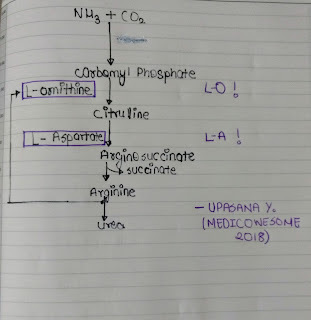 Basis for using Spironolactone as preferred drug in Cirrhotic Ascites : Ascites occurs in these patients Largely due to lack of degradation of Steroids by liver, and activation of Renin Angiotensin Aldosterone system. Difference between Serum and Ascitic fluid Albumin. If the difference is less than 1.1 it indicates the Ascitic fluid was highly protein rich and it's an Exudative Ascites. Let me know if you'd like anything clarified. Using magnesium sulphate as a neuroprotective agent against seizures is a well known fact. We have been taught to follow Pritchard's regimen all through medical school, but actually dealing with it in the labour ward is a whole other scenario! In the Indian setup (especially a government setup), magnesium sulphate is not always found in the concentration it is to be administered. Today we will be discussing the Treatment of Hepatic Encephalopathy. I like this topic because of its integration with biochemistry. -After stable: Identify and treat trigger of Encephalopathy. -Nasogastric aspiration (in case of bleeding) and protection of airway with a endotracheal tube. Always prefer to give prophylaxis for SBP with Amoxiclav / Cephalosporin if GI bleed is the trigger. -Avoid constipation and favour bowel emptying by bowel wash, enema or by lactulose (15-30ml 3 to 4 times daily) or lactitol. -Bowel sterilisation by neomycin 1 gm qid or ampicillin. Neomycin helps in decreasing ammonia production or its absorption from the bowel. -Avoid drugs, especially sedatives and diuretics. -Protein is restricted and vegetable based protein may be given. -IV mannitol as a fast drip for reducing cerebral oedema. -It creates an acidic intestinal environment to prevent NH3 absorption. -Promote growth of glycolytic bacteria rather than proteolytic bacteria. -Provide a urea cycle alternative substrate. -The recommended dose is one 550 mg tablet taken orally two times a day. Poorly absorbed Antibiotic to alter GI microbes. -When no response to standard treatment, portosystemic shunting is considered. Liver transplant allocation can be determined by using the MELD and sodium level (MELD-NA) score. Let's talk about restrictive lung diseases today. We know that an increased FEV1 / FVC ratio is suggestive of a restrictive lung disease. However, you want to get lung volumes and confirm it by looking at the reduced TLC. There are two types of restrictive lung diseases that you want to differentiate - pulmonary and extrapulmonary. In pulmonary restrictive lung disease, all lung volumes are reduced due to fibrosis. In extrapulmonary restrictive lung disease, the residual volume will be normal or even increased. Why? Because in neuromuscular diseases, the muscles don't have the strength to blow air out. DLCO is another way you can differentiate the two. In pulmonary restrictive lung disease, the surface of alveolar membrane that participates in gas exchange is reduced and the DLCO is low. In extrapulmonary restrictive lung disease, the DLCO is normal. A couple of you wanted me to write about my USMLE journey - I am almost at the end so lemme start telling you about my story.